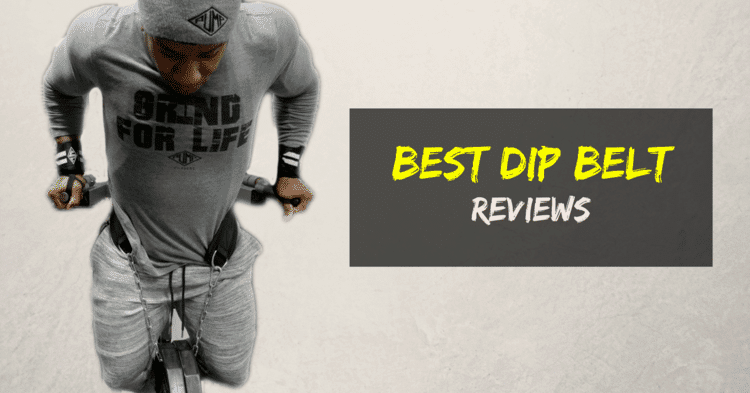 Whether it is dipping, squatting, pull-ups or chin-ups, you can benefit a lot from using a dip belt. You don’t need to stick with just your bodyweight forever. Read on and find out how you can skyrocket your strength and muscle gains by using one of the most popular gym accessories – a dip belt. What Is a Dip Belt? Why Should You Use a Dip Belt? What to Look for When Buying a Dip Belt? Should You Get a Dip Belt? Here are our top 3 picks. Or you can find our more detailed reviews below. This is a 30-inch chain dip belt which will allow you to add up to 3 Olympic 45 plates to it, depending on your waist size and height. If your waist is bigger and you are a tall guy you will probably be able to fit just 1 or 2 plates maximum. In order to set it up correctly, after you have the belt sitting comfortably around your waist you will need to run the chain from one side to the other, through the second loop. Then you add the plates and you are all set to start lifting. The carabiner hook makes it easy and safe to attach the discs. Even though it has a maximum workload of 260 lbs., the carabiner looks a little bit small and fragile. The belt itself offers great comfort and it’s made of high quality polypropylene fabric which looks like it’s going to last for a lifetime. It comes in one size fits all. This nylon belt comes in three different sizes – small, medium and large – depending on your waist size. 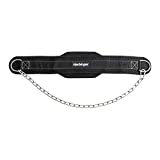 The Brute Belt does not have a chain for attaching the weights, instead, it uses a nylon strap, which makes the product lighter and easier to carry in your gym bag. However, a strap belt comes with a couple of disadvantages when compared with a regular chain belt. First of all the strap might not be able to sustain as much weight as a chain. Secondly, straps usually will wear-out because the edges of the weights might cut through the strap over time. The strap is adjustable so you can easily fit a couple of 45 plates without causing and discomfort. The back of the belt is nicely padded and it sits very comfortable around your waist. This one is for those who take weight lifting very seriously. 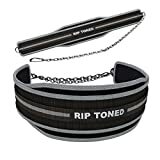 The Rip Toned dip belt comes with a 32 inches heavy duty chain which should be more than enough even for the strongest users. If you prefer the weights hanging a bit lower you can easily extend the chain. The belt itself is 6 inches wide which makes it feel very comfortable around the waist during your exercise. You will be able to focus on your lift rather than worrying about any pain or discomfort. The carabiner is very well placed, easy to use and looks very solid. This dip belt is a once size fits all and comes in various colors. The manufacturer will offer lifetime replacement warranty. 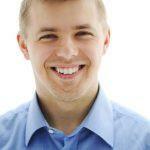 Customer support is excellent as well, if you happen to have any issues with the product. 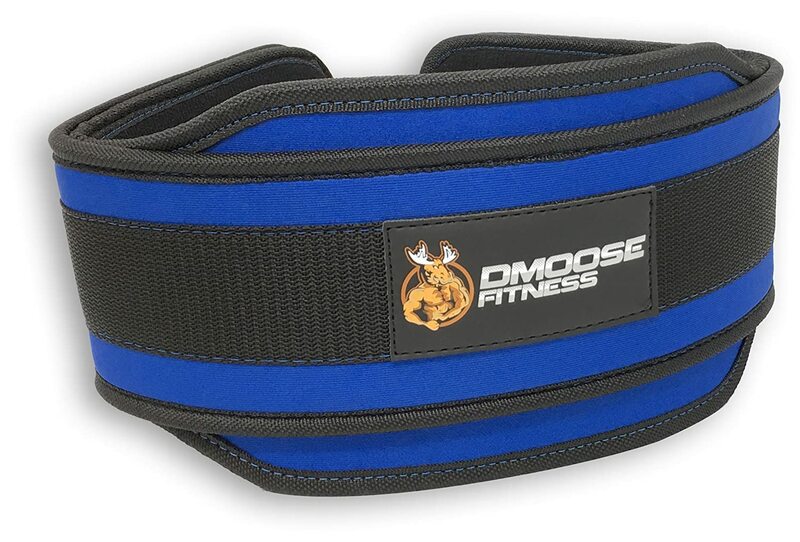 The DMoose Fitness Dip Belt stands out from the crowd with its unique design. It comes in various colors, including an American flag design which makes it very stylish. The fabric they used on this one is some type of neoprene which is really soft and fits just right on your waist. 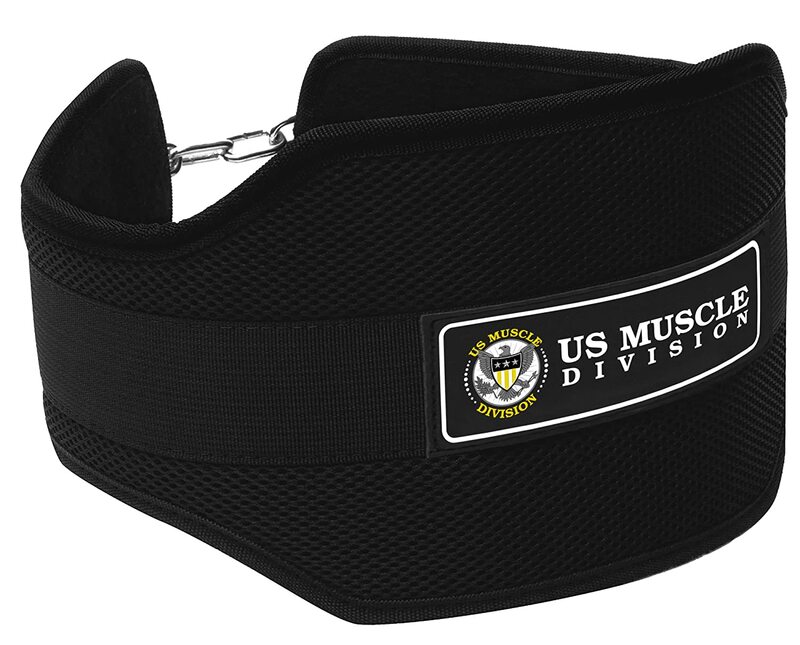 Another differentiator of the DMoose Fitness belt is the 36 inches long chain. This will easily fit the 45 plates even if you have a big waist or you are a taller user. Longer chains will also give you better stability because the weight will hang lower, so that’s another plus. The carabiner and chain look rock solid. The only downside of this product is that it is a little bit heavy. The 36 inches long chain and the double stitched neoprene make this belt weigh significantly more than other, smaller belts. You may want to consider this aspect as well when shopping. This monster of a belt comes with a 38 inches long chain. You probably will not need to upgrade regardless of how much weight you want to add or how big you are. From this point of view, you might want to add this product to your shortlist. The belt is built around a single layer padding, but if you want the extra comfort for your waist and lower back, the manufacturer also offers a double layer version. 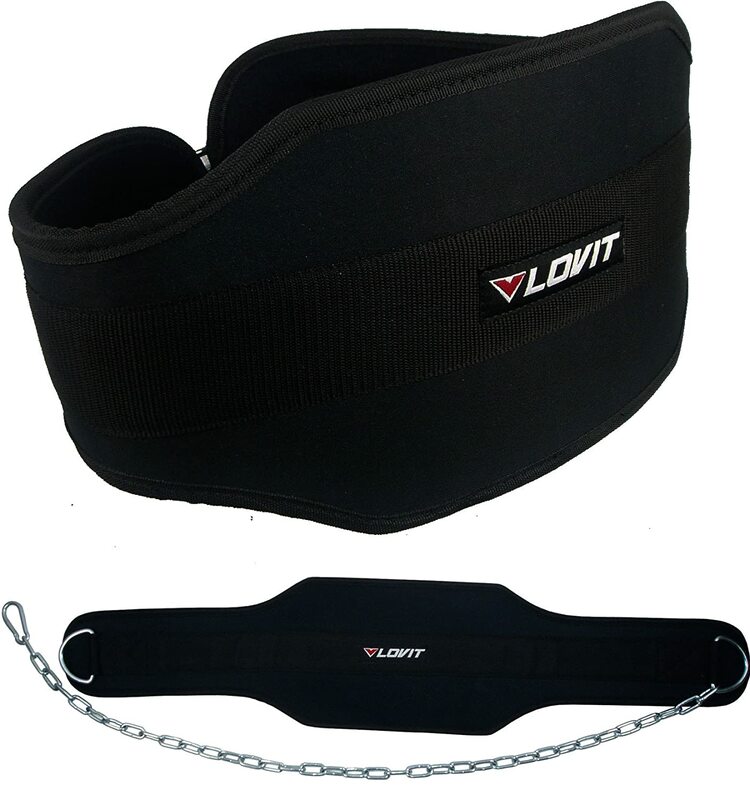 The guys over at LOVIT claim their belt is tested for 500 pounds, so you will most likely won’t make it snap anytime soon. The belt is a one size fits all. If you don’t really need such a long chain though you can consider a 32 or even 30 inches version which will be more portable. 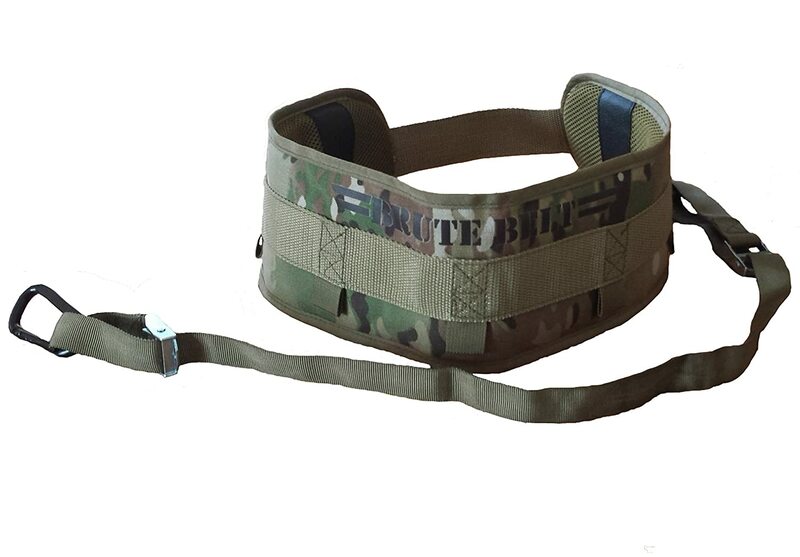 If you are looking for a smaller, comfortable and more portable dip belt this could be the perfect product for you. The 7-inch wide neoprene, soft padded back support will ensure all the comfort you will need. The belt is tested for 100 lbs. only, so keep that in mind as well when shopping. The chain is just 30 inches long, which is a great fit for smaller users and for using lighter weights. The carabiner hooks are super easy and quick to use, but they don’t seem as solid as other hooks we have seen on other belts. That’s why there’s 100 lbs. cap on it probably. This belt is a one size fits all and it comes in with just one color, which is black. This is a neoprene foam dip belt which comes in two sizes – small (for waist size under 40 inches) and medium (for waist size over 40 inches). The fabric feels really light and soft around the waist, distributing the weight equally around your lower back. However, the material is not really thick and it looks like it could be a bit more rigid. The chain is a whopping 44 inches long! The carabiner looks impressive at all and it doesn’t seem to cause any problems regardless of how many plates you will attach to the chain. Speaking of weights, this dip belt is tested for 300 pounds. It come in black color only. This is a specially designed belt which will allow you to attach additional weight to your body. The purpose of a dip belt is to enable you to perform the basic calisthenics movements using more weight than just your bodyweight. Once you become strong enough you may want to increase the difficulty of the exercises you are doing. A dip belt and a couple of plates will help you do just that. The name ‘dip belt’ is definitely misleading. There is much more to a dip belt that just dipping using extra weight. Here are some of the most popular exercises you can use your dip belt on. These are the most common exercises you will see people using dip belts for adding more weight. Both of these exercises will target your back and biceps. With the chin-ups emphasizing a bit more the biceps and pull-ups the lats. These are compound exercises which are great for developing a great upper body and you almost never see them missing from a workout routine. You know how they say – dipping is for the upper body what squatting is for the lower body. We’ve been over this already in a previous post which you can check out right here. In short, dipping is an upper body compound exercise that will target your triceps, chest and a little bit of the front delts. There are different variations you can do in order to put more emphasis on your chest or on your triceps – chest version and triceps version (original naming, huh?). Doing weighted dips can be both a blessing and a curse though. If your wrist and shoulder joints aren’t strong enough or if your form is lacking you might get injured. All the extra weight will put more pressure on your wrists, so make sure your grip is in check. If you go do deep your shoulders will also undertake more weight. So start off by adding lighter weights at first and take it from there. Squatting is probably the best all-round exercise you can do for your lower body (and core). 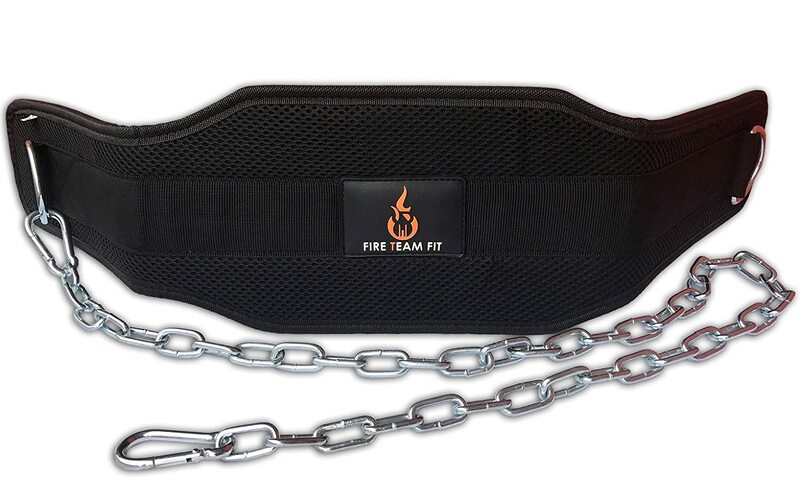 If you want to de-load your spine and still squat heavy, there is no better way of doing it than with a dip belt. The dip belt will transfer all the weight from your back to your waist. By doing dip belt squats you will develop great flexibility and you will be able to control the depth of the squat better. All while still building strength and muscle. Using a dip belt comes with a couple of benefits you don’t want to miss out. Once you get comfortable enough with exercising using your bodyweight and your muscles are getting stronger you should add more weight. The best and most convenient way to do that is by hanging plates from your body using a dip belt. Remember, the more weight you move the stronger and bigger your muscles will get. As a general rule, once you are able to do more than 10-12 reps, you can add more weight. You need to constantly and progressively overload the muscles with more weight if you want to progress. Many people with herniated disks are able to squat really heavy and effectively thanks to the dip belt. Having the weight hanging from your waist instead of sitting on your back will take away all the pressure from the spine. This way your back will not take any of the weight, but your quads, hamstrings and glutes will. You will not be able to go as heavy as you would if you were back squatting, though. Nevertheless, you can add a lot more weight than you could when doing a dumbbell sumo squat. Most of the dip belts models are well built, using quality materials, so you can hardly go wrong with that. You just need to pick the right one for you depending on personal factors. Even though most of the dip belts are one size fits all, some offer 2 or 3 different sizes to choose from. Pick the right one for you, not only based on your waist size, but also based on your height. The bigger your waist is and the taller you are, the longer you will want to chain or strap to be. The dip belt alone might not feel that heavy, but when you have to also carry your gym shoes, your gym clothes, gloves, water and a barbell pad, your gym bag can get really heavy. If you can, pick a dip belt which is not that heavy without compromising on quality go for it. You don’t want the plates sitting right up on your crotch when you’re exercising, so choosing a belt with a long enough chain is really important. Generally speaking the longer the chain the better, but you will have to compromise on portability. Longer chains are great for better stability as well, because you will have the weights hanging lower. Most of the dip belts come with a chain but there are also strap versions. The latter ones have the advantage of being much lighter and easier to carry around. The disadvantage is that you probably will not be able to use really heavy weights. On top of that, the strap will get worn-out faster than a chain. Lastly but not least, you want to pick a belt which feels comfortable around your waist, regardless of the weight you are using. The fabric should be smooth yet firm and redistribute the weight equally around your torso. The wider the belt, the better. If you want to break through your bodyweight plateau, you definitely should consider getting a dip belt and add extra weight to your dips or pull-ups. Do the research, pick the one which is right for you and gradually start increasing the weight. 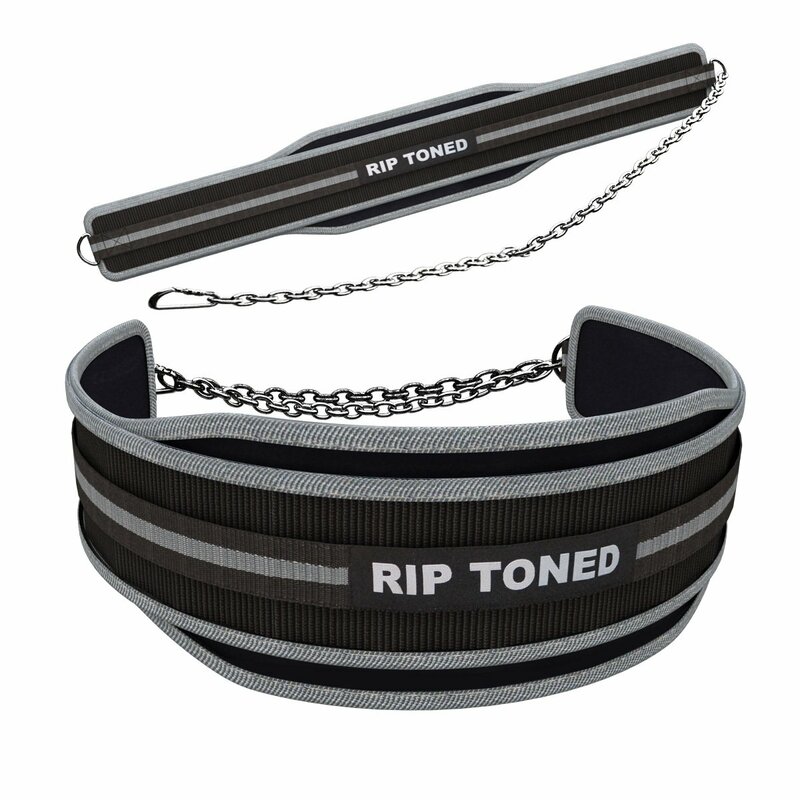 Have you seen the EZ dip belt with a hook to attach a dumbbell. I would rate that as number 1.